When we first decided to plan a weekend trip to Boston, the first google search article returning ideas of what to do that weekend, warned me: Do not compare Boston to New York. Easy enough I thought--I know better than to expect any other city to be like mine. Throughout the weekend, though, I had to keep reminding myself--you're right, this is not New York. It's a miniature version of a big city, and although its personality was mostly offered in small doses, the charm of Bean-town showed us a great time. Touristy must-do's of the city aside, I wanted to do the same type of thing I do every weekend in NYC: eat, drink, walk, and enjoy art. 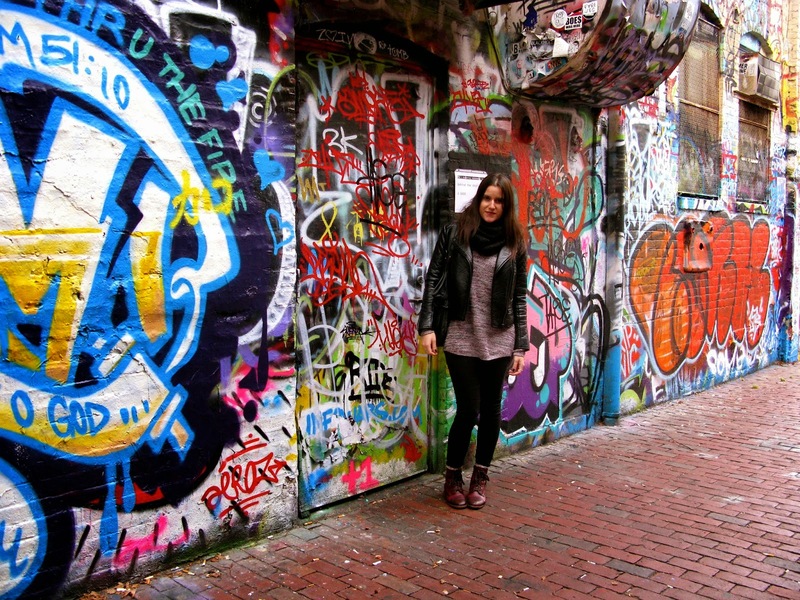 And lucky for me, I had a friend to show us around the city and to all the hidden gems. 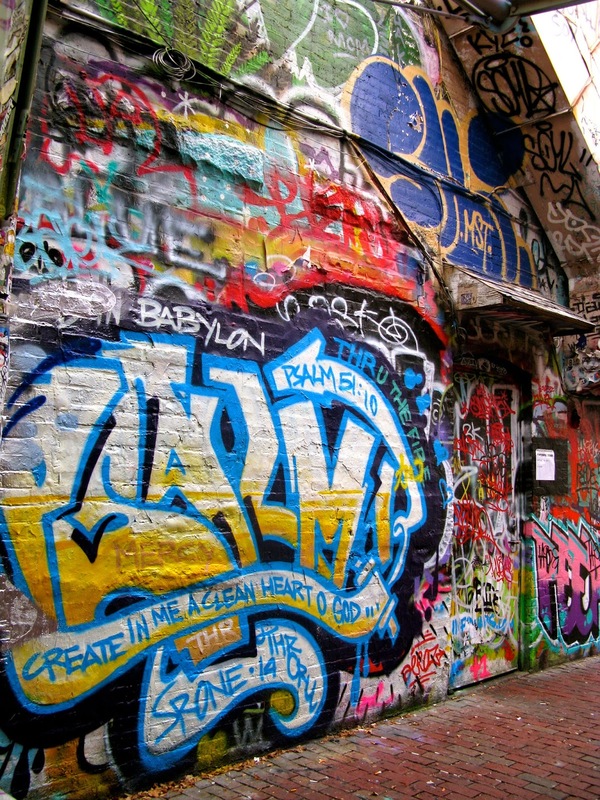 While at first I was disappointed to find that there was only one street of graffiti in the entire city, I reminded myself not to compare it to the liberal freedom of New York. 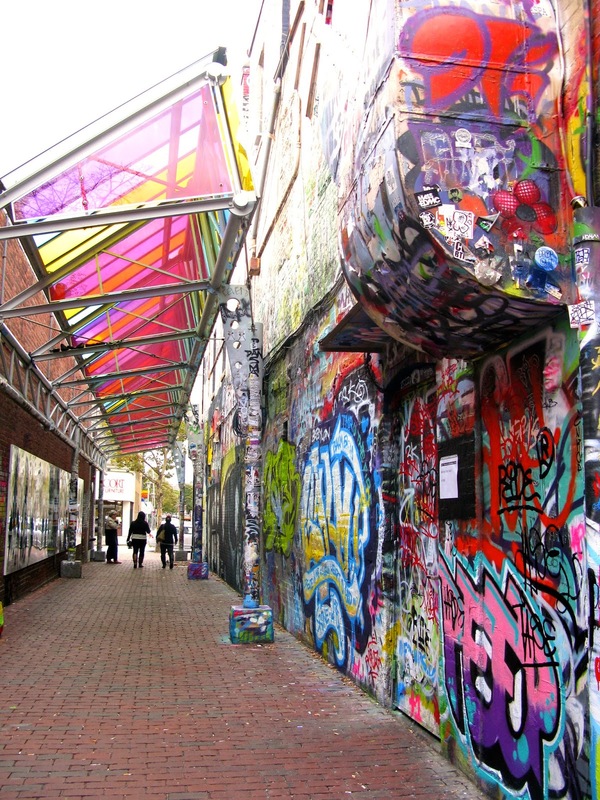 Not far from Harvard, a little safe haven exists in Cambridge for the graffiti lovers and art without bias. 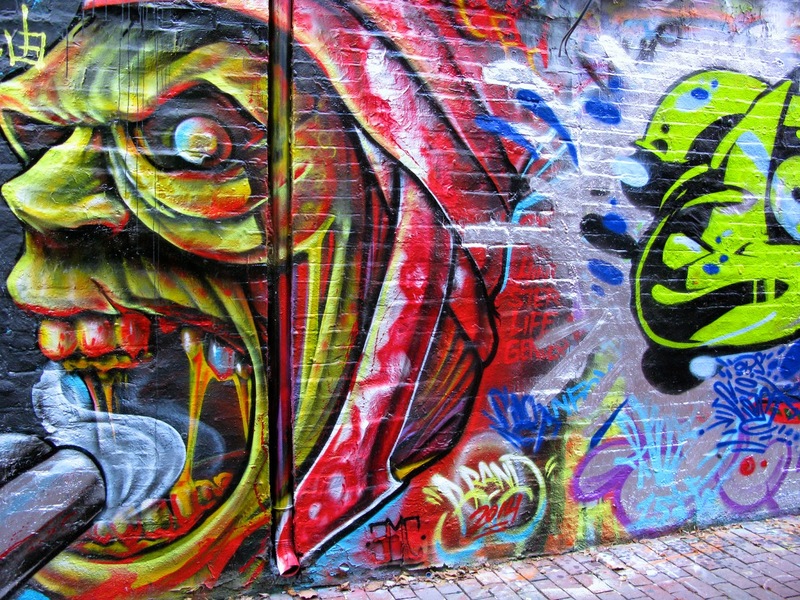 Welcome to Graffiti Alley. 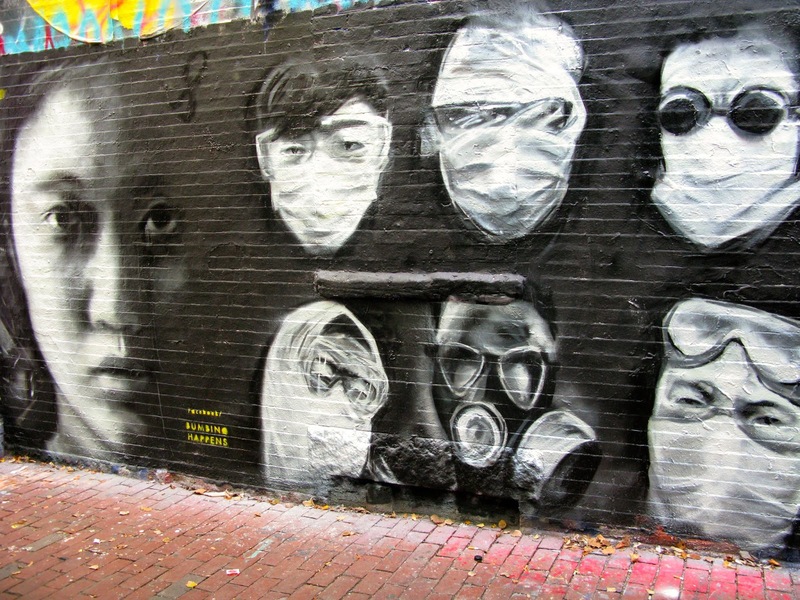 Located in an alley off Central Square in Cambridge, the art ranges from politically charged murals to hundreds of layers of scribbled names and graffiti tags. 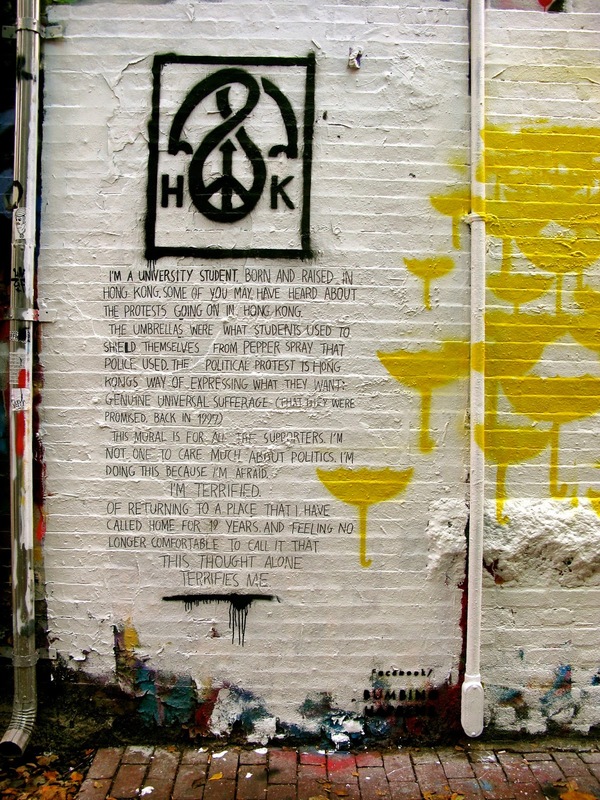 In fact, the art flows in a perfect spectrum--first, an ode to the educated, and a rally of support for the riots in Hong Kong. 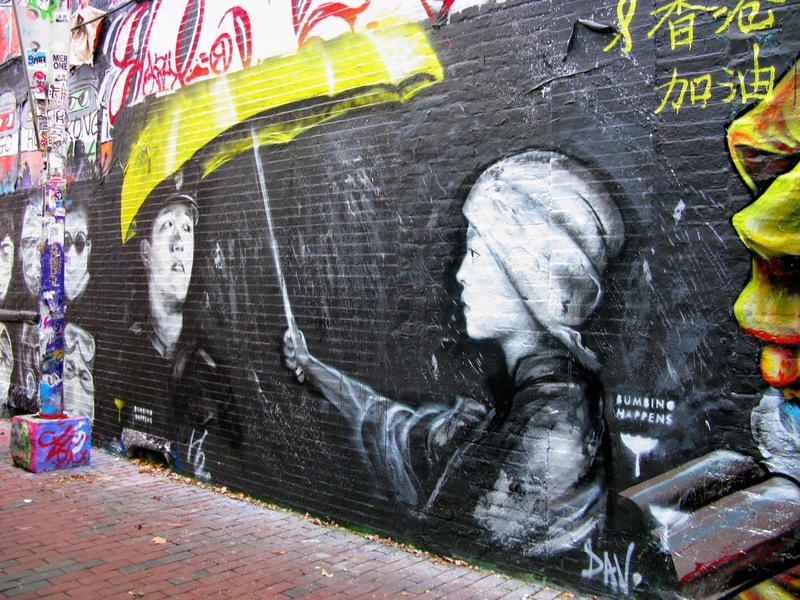 On an already rainy day in Boston, the umbrellas of solidarity for Hong Kong felt right at home in this alley. 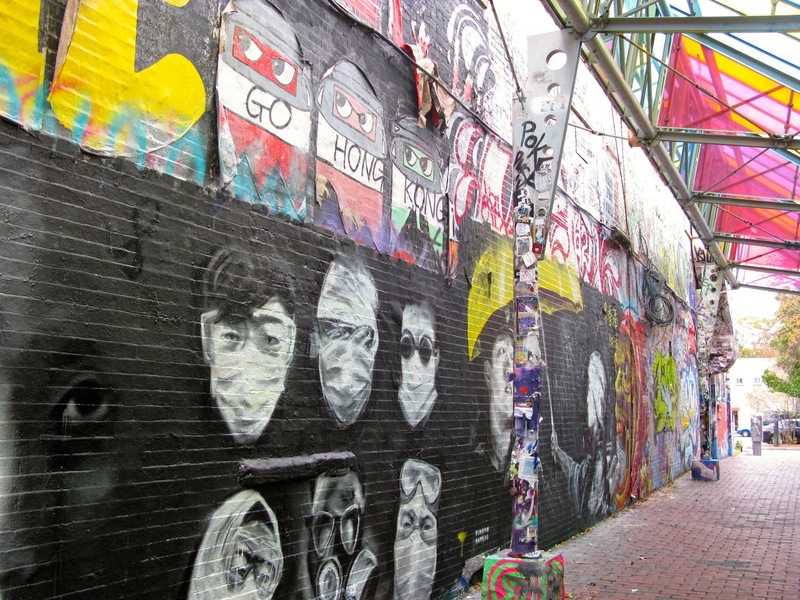 Continuing down the short street, both bright and dark murals transition into tags and hundreds of colors as a melting pot of art. 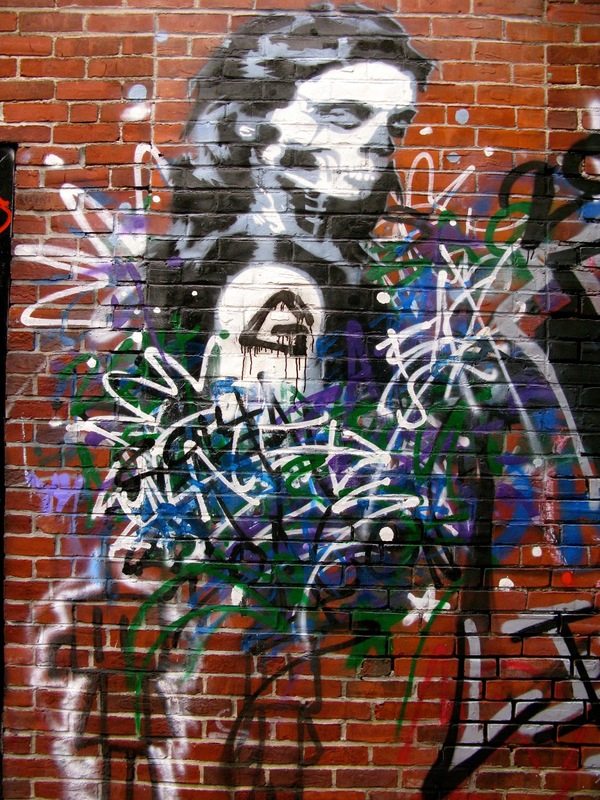 Skulls, monsters, and religious quotes are all found on this wall, and in a very Lower East Side way, mixes and matches to create a beautiful walkway in an otherwise clean-cut city. 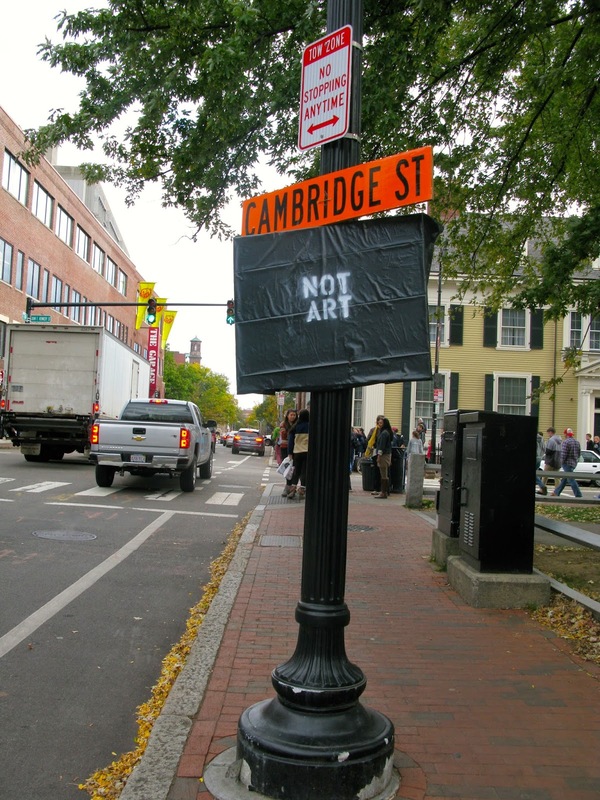 Since I couldn't occupy myself with street art all weekend, I ventured along to trendier streets full of shops and stores, bars full of Bostonians, and marketplaces full of clam chowder and fellow tourists. Two cemeteries, gardens, bus tours, and breweries later, I found myself relieved to be back on my way to NYC. Boston, thank you for a great time. New York, I fall more and more in love with you every time I leave. 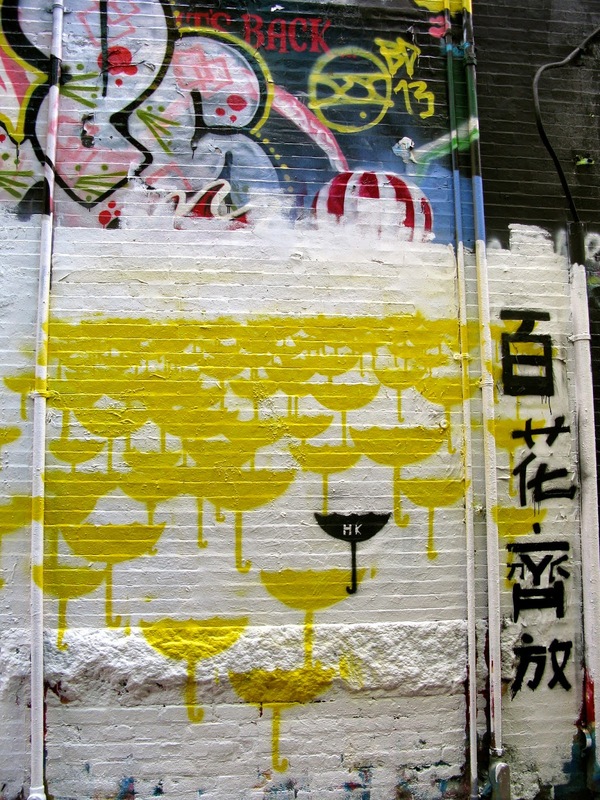 Stay tuned for more coming soon--since being back, I've taken a little trip to the Bushwick Collective and can't wait to show you everything new that's been painted since my last time there. To the end of October, bring it on! You're amazing, in every city.